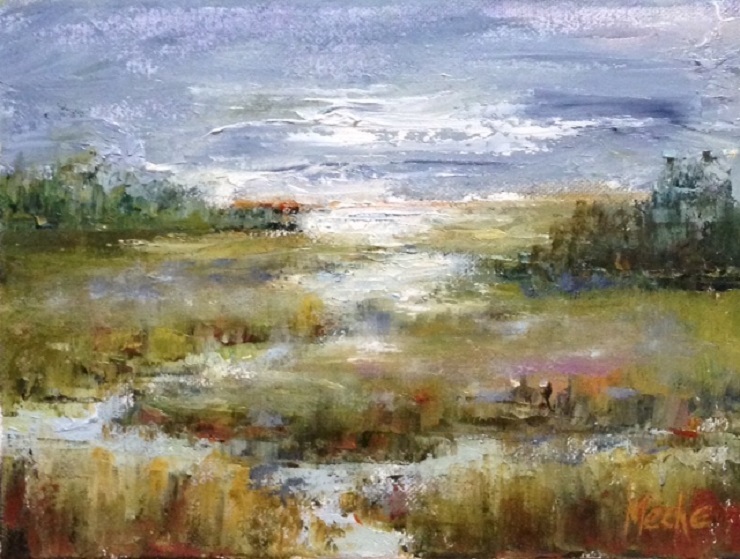 Marsh Oil Painting on Canvass, "A Slice of Heaven", 6"x8", by Mercedes Franklin, Private Collection. Not at all like I planned. But I think it is a very pretty painting. That is my humble opinion.